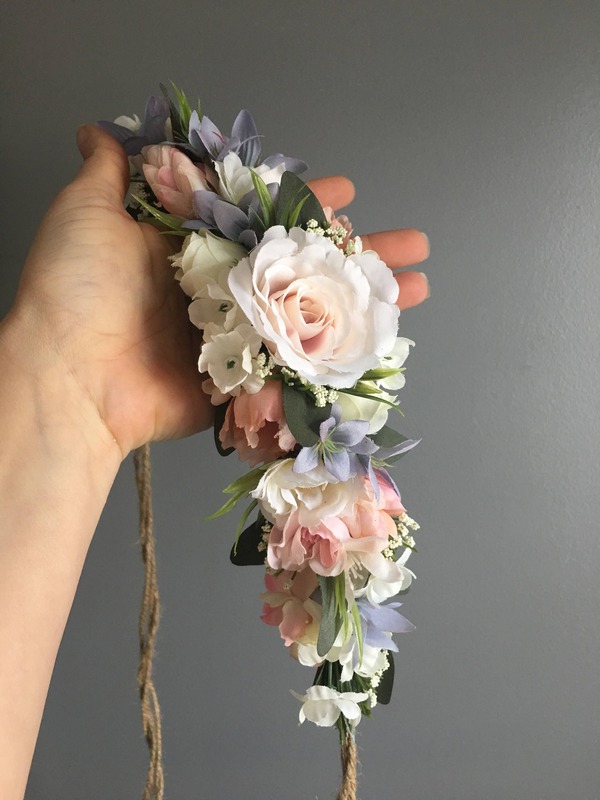 This Crown will definitely amaze. 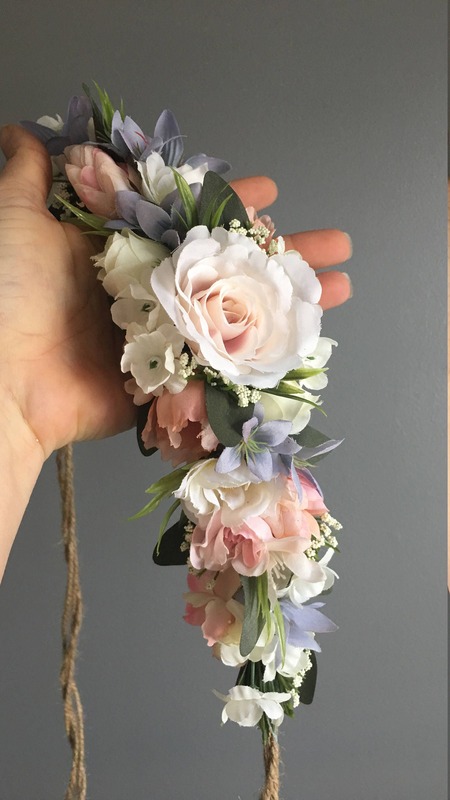 Fabric Flowers are in shades of Blush, Pink, Blue and Ivory to accent. 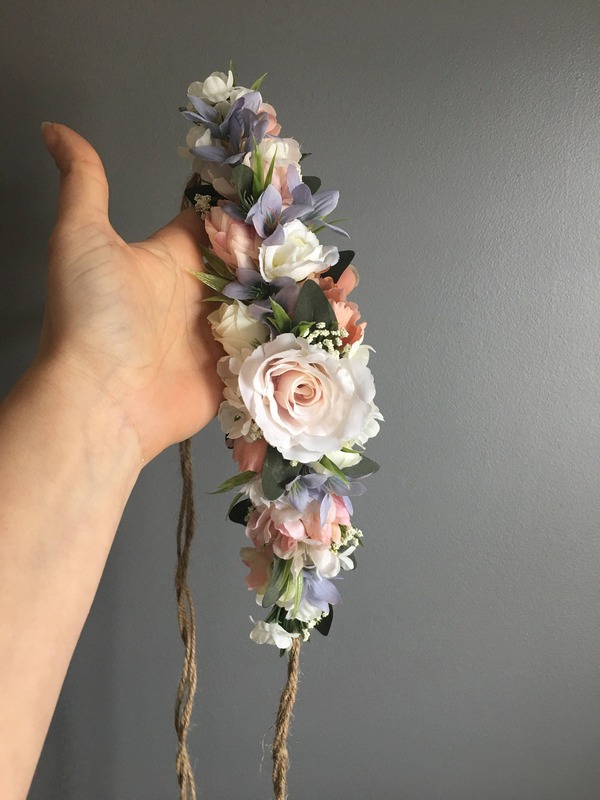 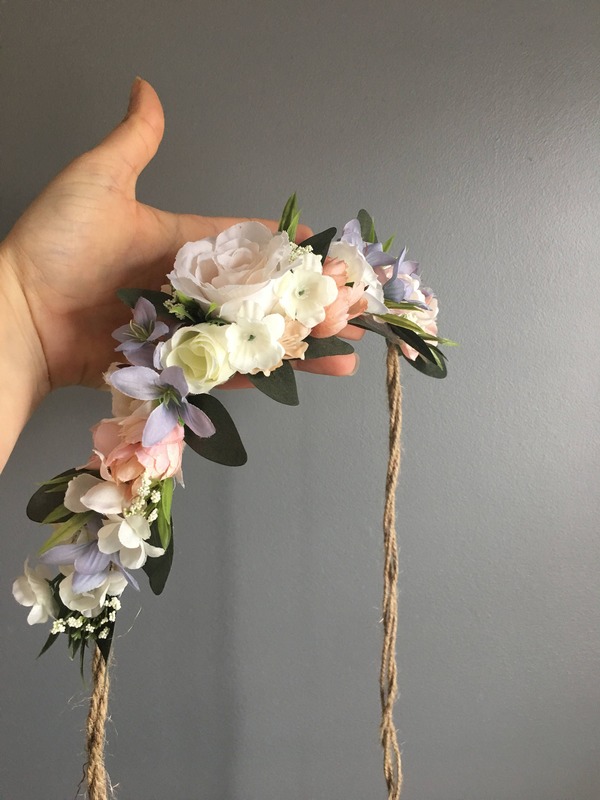 Perfect for photo shoots, flower girls, Holiday Photos, and birthday girls.